Israeli forces continued with systematic crimes, in the occupied Palestinian territory (oPt), for the week of 11 – 17 April, 2019. Israeli forces continued to use excessive force against peaceful protestors in the Gaza Strip. A Palestinian child was killed and another succumbed to his wounds. 98 civilians, including 26 children, 6 women, 3 paramedics and a journalist, were wounded. The injury of 1 of them was reported serious. 3 Palestinian civilians were wounded in the West Bank. In the Gaza Strip, the Israeli forces continued to use lethal force against the participants in the peaceful protests organized within the Great March of Return and Breaking the Siege along the Gaza Strip borders, which witnessed the peaceful protests for the 54th week along the eastern and northern border area of the Gaza Strip. They also continued to use force against Palestinians protesting against the incursions into the West Bank. In the Gaza Strip, During the Great March of Return and Breaking the Siege protests, Israeli forces killed a Palestinian civilian and wounded 98 civilians, including 26 children, 6 women, 1 journalist and 3 paramedics. The injury of 1 of those wounded was reported serious. Another child succumbed to his wounds in the Israeli hospitals as he was previously wounded when attempting to sneak into Israel to work there. Moreover, a fisherman was wounded. In the West Bank, Israeli forces wounded 3 Palestinian civilians while another a child was wounded after Israeli settlers opened fire at the child. In the Gaza Strip, on 12 April 2019, Israeli forces killed Maysarah Abu Shallouf (15) from ‘Ezbet Beit Hanoun after being wounded with a bullet to the left waist while participating in the Great March of Return and Breaking Siege. At approximately 17:00, Maysarah was few meters away from the border fence between Israel and the Gaza Strip. He was left bleeding for 20 minutes as the Israeli forces denied the medical personnel’s access to him. At approximately 17:40, he was then referred to the Indonesian Hospital in Jabalia and was admitted to the Intensive Care Unit in the Emergency Department, where his death was declared at approximately 17:55. In the same context, on 13 April 2019, the Palestinian liaison declared the death of Ishaq Ishteiwi (16) from al-Shokah village, east of Rafah City, after succumbing to wounds he sustained on 03 April 2019 while sneaking into Israel and arresting him along with 2 of his friends, east of the village. His father said that one of his relatives received a call from the Palestinian Liaison at approximately 17:30 on the abovementioned Sunday and informed him of Ishaq’s death. As part of the collective punishment policy adopted by the Israeli forces against the families of Palestinians accused of carrying out attacks against Israeli soldiers and/or settlers, on Wednesday early morning, 17 April 2019, the Israeli forces demolished a house belonging to the family of Saleh ‘Omer al-Barghouthi from Cooper village, north of Ramallah. The one-story house was built on an area of 280 square meters and sheltered his wife and 3-year-old son. In a crime of extra-judicial execution, Saleh al-Barghouthi was killed by the Israeli forces on 12 December 2018 when he was accused of carrying out a shooting attack on 09 December 2018 at a bus stop near “‘Ofra” settlement in northeaster Ramallah and wounding 7 settlers. During the reporting period, Israeli forces conducted at least 71 military incursions into Palestinian communities in the West Bank and 5 other incursions into Jerusalem and its suburbs. During those incursions, Israeli forces arrested at least 58 Palestinians, including 4 children, from the West Bank, while 14 other civilians, including 5 children, were arrested from Jerusalem and its suburbs. Among those arrested was ‘Adnan Ghaith, Jerusalem’s Governor, who was arrested from his family house in Silwan village, south of occupied East Jerusalem’s Old City. 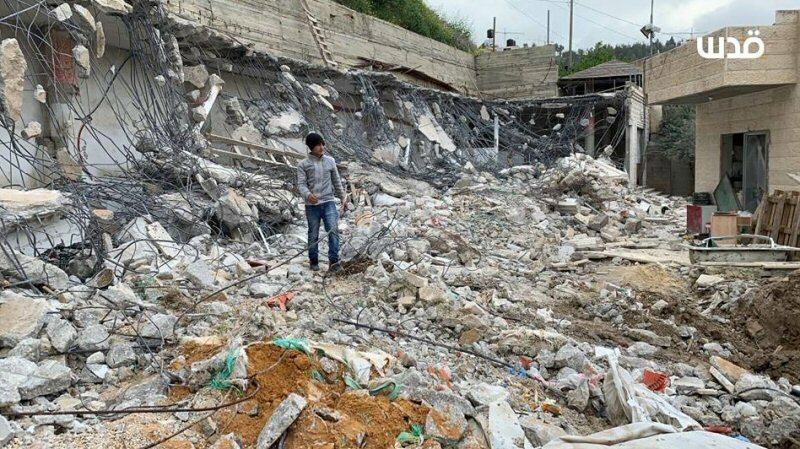 As part of the Israeli house demolitions and notices, 13 April 2019, Shadi and Fadi al-‘Ajlouni self-demolished their houses in occupied East Jerusalem’s Old City. Shadi al-‘Ajlouni said that the Israeli municipality issued a decision to demolish the 40-square-meter residential apartment where he lived with his brother. The Muncipality gave the family till the end of the monst to apply the demolition decision or its staff will do so and the family has to pay the demolition costs in addition to a financial fine. The house was built 2 years ago of “reinforced gypsum, tin plates, and bricks” on the family house roof as a third floor comprised of 2 rooms and a joint kitchen, sheltering 8 members; half of them are children. On 15 April 2019, ‘Awad al-‘Abbasi self-demolished his house in al-Sweih neighborhood in Silwan, south of East Jerusalem’s Old City. He said that he demolished his under-construction house after the Israeli municipality issued a decision to demolish the house under the pretext of unlicensed building. He added that in the last days, he went to a lawyer and an engineer attempting to obtain a license for the house but in vain. Thus, he was forced to self-demolish his house to avoid paying the fine and the demolition expenses for the municipal staffs. al-‘Abbasi said that the Israeli muncipality demolished his house in 2007 and rebuilt it last year to shelter his family. On 17 April 2019, Israeli forces demolished a residential room and storehouses belonging to ‘Ezz al-Deen Burqan and a horse farm belonging to Mohammed al-Qaq in Yasoul Valley neighborhood in Silwan village, south of occupied East Jerusalem’s Old City. They also demolished a house belonging to ‘Omran al-Masri in al-Ashqariyah neighborhood in Beit Hanina, north of occupied East Jerusalem. In the same context, on 14 April 2019, the Israeli Supreme Court dismissed a challenge filed by Palestinian families living in Yasoul Valley neighbourhood in Silwan village, south of occupied East Jerusalem’s Old City to stop the demolition of their houses that are partially built on a land where “Elad” Settlement Organization tries to build Jewish tourism projects. As part of house demolitions and notices, on 16 April 2019, the Israeli forces dismantled and confiscated a residential tent in Susiya village, south of Yatta, south of Hebron, in addition to leveling where it was set. The Israeli authorities claimed that the 30-square-meter tent belonging to Hussein Nawaj’ah (40) was confiscated and leveled under the pretext of non- licensing. On the same day, the Israeli authorities issued a military order to ban Palestinian farmers from entering their lands in al-Nabi Noun Mount, east of Yanoun village, southeast of Nablus and transfer them to a natural reserve in preamble to confiscate them. Rashed Marar, Head of the Village Council, said to PCHR’s fieldworker, said that the mountain which is of hundreds dunums is planted with olive trees and some dunums are used for agricultural purposes and for grazing sheep. On 17 April 2019, Israeli forces demolished an under-construction house built on an area of 200 square meters belonging to Shehadah ‘Azem from Tibah in Israel. This house is one of 5 houses that were threatened to be demolished upon notices distributed to their owners earlier this year to halt construction works. On 12 April 2019, under the protection of the Israeli forces, a group of settlers attacked the northeastern outskirts of the Burin village, south of Nablus. a settler opened fire from his gun and wounded ‘Obadah al-Najjarah (17) with a bullet to his buttock. On 13 April 2019, a group of settlers attacked the eastern outskirts of ‘Orif village, south of Nablus, and broke the windows of 2 vehicles parked in front of a house. 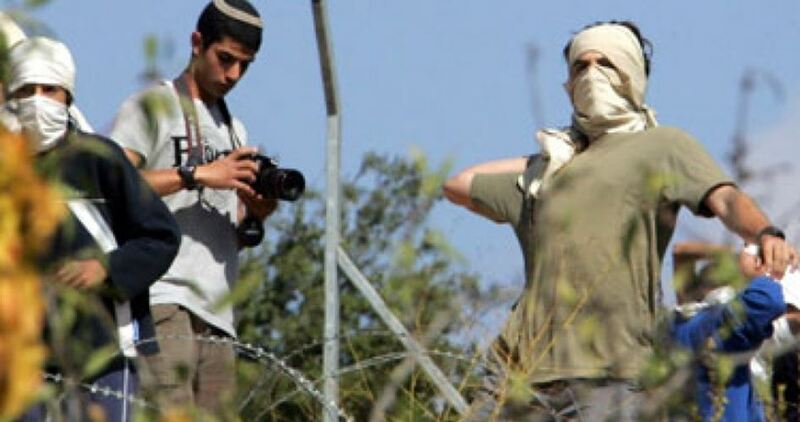 In the afternoon, the settlers came back again to attack the abovementioned village, wounding Naji Sabbah (17) with a stone to the right shoulder. On the same day, a group of settlers attacked a Palestinian car with stones on Ramallah-Nablus Road and caused damage to it. On Sunday evening, 13 April 2019, the Palestinian Liaison declared the death of Ishaq ‘Abdul M’oti Sweilem Eshteiwi (16), from al-Shawka village, east of Rafah, in Israel’s hospitals. Is’haq was wounded when two of his friends and he sneaked into Israel and were arrested, east of al-Shawka. Is’haq’s father said that one of his relatives received a phone call from the Palestinian Liaison at approximately 17:30, on Sunday, 13 April 2019, telling him that Is’haq died. According to PCHR’s investigations, at approximately 21:00 on Wednesday, 03 April 2019, Israeli soldiers stationed along the border fence with Israel, east of al-Shawka village, east of Rafah, south of the Gaza Strip, opened fire at three Palestinian children, during their attempt to sneak into Israel to work there. As a result, they were hit with live bullets. The wounded children were identified as Mohammad Mousa Ramadan al-Bahabsa (16), Manssour Fawwaz Moussa al-Shawi (16) and Is’haq ‘Abdul M’oti Sweilem Eshteiwi (16). Mohammad al-Bahabsa, who was released via Beit Hanoun “Erez” Crossing on the next day, north of the Gaza Strip, said that the Israeli forces opened fire at them after they crossed the border fence. As a result, Manssour al-Shawi was hit with a live bullet to the left leg and Is’haq Eshteiwi was hit with several live bullets to the abdomen and upper limbs and then fainted. Both of them were then taken to Israeli hospitals to receive treatment. On Monday, 08 April 2019, Manssour al-Shawi was released via Beit Hanoun “Erez” Crossing after he received treatment in Israeli hospitals, while Is’haq Eshteiwi stayed for treatment until his death was announced. As part of the collective punishment policy adopted by the Israeli forces against the families of Palestinians accused of carrying out attacks against Israeli soldiers and/or settlers, on Wednesday early morning, 17 April 2019, the Israeli forces demolished a house belonging to the family of Saleh ‘Omer al-Barghouthi from Cooper village, north of Ramallah. At approximately 03:00 on the abovementioned day, the Israeli forces backed by 20 military vehicles and armored personnel carriers in addition to a military bulldozer moved into Cooper village, north of Ramallah. The Israeli forces stepped out of their vehicles and deployed on the village streets and between houses. They also topped some of the house roofs and closed the entrance to the family house of Saleh ‘Omer al-Barghouthi amidst Israeli firing of teargas canisters directly at the windows of the nearby houses. Large numbers raided the abovementioned house to apply the demolition decision which the family was informed of previously. At approximately 03:30, the Israeli forces demolished the 1-storey house that was established on an area of 280 square meters and sheltered his wife and 3-year-old son. 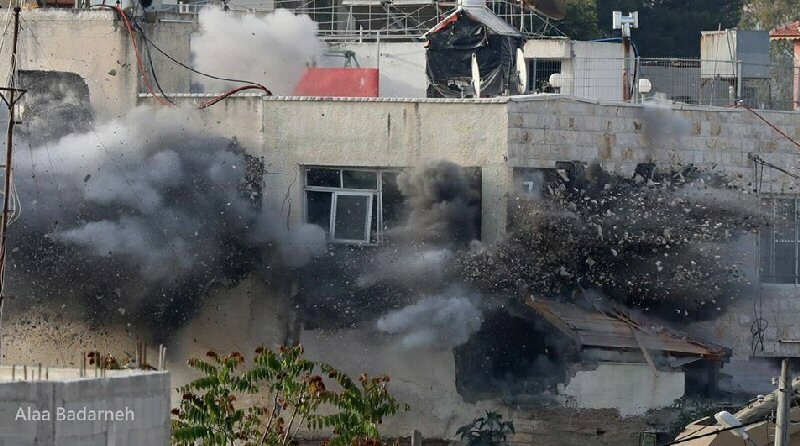 After the house was completely demolished, the Israeli forces withdrew from the village at approximately 05:30 amidst heavily firing of teargas canisters. As a result, Nabil Diaa’ al-Barghouthi (26) was hit with teargas canister shrapnel to the head. It should be noted that ‘Asem is the brother of Saleh, who was assassinated by Israeli forces in an crime of extra-judcial execution on 12 December 2018 when he was accused of carrying out a shooting attack on 09 December 2018 at a bus stop near “‘Ofra” settlement in northeaster Ramallah and wounding 7 settler. Gaza City: The Israeli shooting at Palestinian demonstrators resulted in the injury of 31 of them, including a child and two women. Twenty of them were hit with live bullets and shrapnel, one was hit with a rubber bullet, and ten were directly hit with tear gas canisters. Northern Gaza Strip: The Israeli shooting at Palestinian demonstrators resulted in the killing of a child and the injury of 20 civilians, including 9 children, 2 women and a paramedic. Eleven of them were hit with live bullets and shrapnel, two were hit with rubber bullets and seven were directly hit with tear gas canisters. The injury of one of them was reported serious. According to PCHR’s fieldworker, at approximately 17:00, Mayssara Moussa Slaiman Abu Shalouf (15), from ‘Ezbet Beit Hanoun, was hit with a live bullet to the left waist and settled in the pelvis. Mayssara was wounded while being few meters away from the border fence with Israel. Moreover, the Israeli forces prevented the medical personnel from reaching Mayssara for around 20 minutes and then the medical personnel took him to a field medical point in the vicinity of the Return Camp, where he received first aid. At approximately 17:40, Mayssara was taken to the Indonesian Hospital in Jabalia, where he was admitted to the ICU and at approximately 17:55, medical resources officially declared Mayssara’s death. Meanwhile, the wounded paramedic, Belal ‘Abd al-Bari al-‘Abed Abu Foul (30), form Jabalia Camp, who works as a volunteer paramedic with PRCS, was hit wth a tear gas canister to the left hand. Central Gaza Strip: The Israeli shooting, which continued until 18:30, at Palestinian demonstrators resulted in the injury of 20 civilians, including 4 children, a woman and a journalist. Eight were hit with live bullets and shrapnel and 12 were directly hit with tear gas canisters and rubber bullets. Moreover, Israeli forces targeted the vicinity of a field medical point and ambulances with tear gas canisters. As a result, a number of paramedics suffered tear gas inhalation. The wounded journalist, Ahmed Saber Mahmoud al-Zri’i (21), from Deir al-Balah, who works with Palestine al-Hadath Agency, was hit with a rubber bullet to the pelvis. Khan Younis: The Israeli shooting, which continued until 19:00, at Palestinian demonstrators resulted in the injury of 10 civilians, including 7 children. Two were hit with live bullets and shrapnel; one of them had his below right knee amputated, and eight were directly hit with tear gas canisters. Mahmoud Shafiq Hussain al-Khatib (28) was hit with a tear gas canister to the right leg. Fadi Eyad Salman al-hamayda (22) was hit with a tear gas canister to the left keen. It should be noted that both of the wounded paramedics work for Emergency Youth Team. At approximately 14:00 on Friday, 12 April 2019, a number of children and boys gathered in Bab al-Zawya area in the center of Hebron and threw stones at the so-called 56 Military checkpoint, established at the entrance to the closed al-Shuhada Street. Israeli forces chased demonstrators between shops and randomly fired sound bombs and tear gas canisters. As a result, a number of stone-throwers suffered tear gas inhalation. Moreover, the Israeli forces prevented journalists from performing their duty in the area and beat a journalist, Mos’ab Shawer al-Tamimi (28), and cursed him. The clashes continued until the evening and no casualties were reported. At approximately 16:00, a number of Palestinian children and youngsters gathered in al-Naqar neighborhood adjacent to the annexation wall, west of Qalqilia and threw stones at Israeli forces stationed in the area. The Israeli forces immediately fired sound bombs, tear gas canisters and rubber bullets at the demonstrators and chased them. Moreover, they arrested Samer Sufian Hassan Selmi (18). On Saturday afternoon, 13 April 2019, Shady and Fadi al-‘Ajlouni started to self-demolish their house in occupied East Jerusalem’s Old City, implementing the Municipality’s decision and avoiding paying the demolition costs and a financial fine. Shadi al-‘Ajlouni said to PCHR’s fieldworker that the Israeli municipality issued a decision to demolish the 40-square-meter apartment where his brother Fadi and him lived in. the municipality gave the family a period until the end of the current month to implement the demolition decision or the municipality crews will do it and the family have to pay the demolition costs in addition to a financial fine. Shadi added that the house, which was built 2 years ago of gypsum, bricks and tin plates, is a third floor comprised of 2 rooms only and a kitchen and is inhabited by 8 individuals, half of them are children. Shadi emphasized that the municipality crews and the police raided the house after the family lived in it and ordered to demolish it. After deliberations, the municipality ordered to demolish the house and not to use it and then closed the staircase that leads to it, until the municipality issued a final demolition decision. In addition to that, the family will demolish a balcony, which was built years ago, in the second floor that was used as a bed room and laundry room under the pretext of building without a license. On Monday evening, 15 April 2019, ‘Awad Mohammed al-‘Abasi started to self-demolish his house in al-Suwaih neighborhood in Silwan village, south of occupied East Jerusalem’s Old City, implementing the Municipality’s decision under the pretext of building of without a license. Al-‘Abasi said to PCHR’s fieldworker that he self-demolished his house, which is under construction, after the Israeli municipality issued its decision to demolish his house under the pretext of non-licensing. He said to Wadi Hilweh Information Center – Silwan that the municipality crews raided the house in late March several times and banned al-‘Abasai from continuing the construction works. 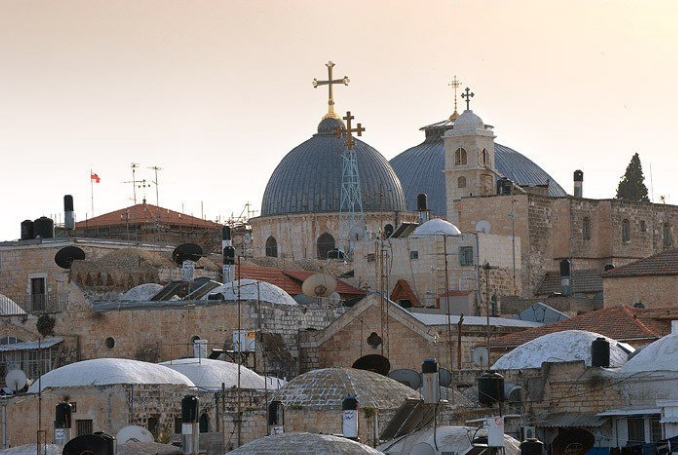 Early this month, the Israeli municipality issued the demolition decision. Al-‘Abasi also said that in the last days he went to a lawyer and an engineer in an attempt to obtain a license for the house, but both confirmed that the area had no “building line” and the demolition decision entered into force. Al-‘Abasai emphasized that he had to self-demolish his house to avoid paying the financial fine and demolition expenses to the municipality. Al-‘Abasi mentioned the Israeli municipality demolished his house in 2007 and he rebuilt the house last year to live in it. Earlier on Wednesday, 17 April 2019, Israeli forces accompanied with several military vehicles and heavy bulldozers and municipality crews moved into Yasoul Valley neighborhood in Silwan village, south of East Jerusalem’s Old City. They surrounded a residential room and stores belonging to ‘Ezz Eden Barqan and demolished them without allowing him to remove their contents. The stores and the room were designated for the fish restaurant supplies and there are fridges, equipment and special tools inside them. Following that, the Israeli forces raided and searched “al-Roqy and al-Osoul” Horse Farm belonging to Mohammed al-Qaq and then demolished it. It should be noted that the 200-square-meter farm was built of bricks 5 years ago. On the same Wednesday morning, Israeli forces accompanied with several military vehicles and heavy bulldozers and municipality crews moved into al-Ashqar neighborhood in Beit Haninah village, north of East Jerusalem. They surrounded a house belonging to ‘Omran al-Masri and then demolished it. ‘Omran said that the municipality crews and Israeli forces raided and searched his house when he was not there. When he arrived, he attempted to inform the municipality officer that he managed to freeze the demolition decision for a month, but the municipality ignored that and started to demolish the house without a prior warning. Omran added that he lived in the house for 11 years and attempted to license it several times. However, the municipality refused that claiming that it’s an area where construction is prohibited and imposed fines of about NIS 40,000 on Omran. He mentioned that the Israeli police raided and searched his house on Sunday, 14 April 2019, and informed him with the demolition decision. Omran’s lawyer was managed to delay the demolition decision for a month, but he was surprised when the municipality crews raided the house and implemented the demolition decision. It should be noted that house was inhabited with 7 individuals, including 5 children. In the same context, on Sunday afternoon, 14 April 2018, Israeli Supreme Court refused an appeal submitted by Palestinian families that live in Wadi Yasoul neighborhood, in Silwan village, south of East Jerusalem’s Old City to ban demolishing their houses. It should be noted that the houses are partially built on a land where Israeli “Elad Association” seeks to build Jewish tourism projects on it. Khalid Shuweiki, Member of the Defense Committee in Wadi Yasoul neighborhood, said that the Israeli Supreme Court, which is the highest judicial body, dismissed the appeal submitted by the houses’ owners in the abovementioned neighborhood to the Israeli District Court’s decision to demolish 4 houses in the neighborhood. That means the Supreme Court approved to demolish the houses and displace around 20 individuals. Shuweiki mentioned that the neighborhood residents submitted an appeal for the Supreme Court 3 days ago. The response was quick as the Supreme court refused the appeal and approved the District Court’s decision. He added that the refusal of the appeal means that the decisions of the 4 houses, belonging to Barqan, al-Qaq and Kashour families, entered into force and the demolition will be carried out at any time. This demolition is a preamble to completely demolish and ease Wadi Yasoul neighborhood, which is comprised of 84 houses and inhabited with 400 individuals. It should be noted that all the families are struggling in courts to license their houses, which are built years ago during which they managed to freeze the demolition decisions several times. Shuweiki emphasized that the demolition decision to demolish Jerusalemites’ houses in the area came after approval of building settlement units in a land that was seized by Elad Association. Residents of Wadi Yasoul confirmed that they had all the documents that prove their ownership of the 50-dunum land where their house are built. However, the Israeli authorities intend to implement their plan of the so-called ” Peace Forest”. Israeli daily, Haaretz Newspaper mentioned that the Israeli Court approved the demolition of houses inhabited with hundreds of Palestinians houses claiming that they are partially built on “Peace Forest” land where Elad Association seek for building Jewish tourism projects in it supported by the Israeli municipality in occupied Jerusalem. At approximately 10:30 on Tuesday morning, 16 April 2019, an Israeli force backed by several military vehicles and accompanied with a bulldozer and a vehicle belonging to the Israeli Civil Administration moved into Susiya village, south of Yatta, south of Hebron. The civil Administration staff removed a30-square-meter residential tent belonging to Husain Radi Nawaj’ah (40). The tent is built of steel pillars, shed and rubber tires. The place of the tent was leveled after it was confiscated. The Israeli authorities claim that the tent was confiscated and leveled under the pretext of non- licensing. (Hill 777) established in the eastern side of Yanoun village. ( Gideon) established in the northern side of the village. (Givot Olam) established in the western side of the village. It should be noted that these outposts control over 80% of the village land. At approximately 07:30 on Wednesday, 17 April 2019, large Israeli force accompanied with heavy vehicles bulldozers moved into Tulkarm, closed its entrances and prevented civilians from entering or leaving it. The bulldozers leveled an under construction house built on an area of 200 square meters at the eastern entrance to the village. The house belongs to Shehadah ‘Azem from al-Taibah City in Israel. According to statement of the Head of the Village council, this house is one of 5 houses that are threatened to be demolished in which the Israeli forces notified their owners earlier this year to halt construction works. The Israeli forces then notified them with the demolition decision. Thus, 4 other houses located in the eastern side of the village are threatened to be demolished. PCHR’s fieldworker didn’t manage to speak with the house owner because he is in Turkey. It should be noted that since the Second Intifada, Jbarah village is isolated from its vicinity by the annexation wall since early May 2013. At approximately 18:00 on Friday evening, 12 April 2019, a group of Israeli settlers, protected by the Israeli forces, from “Givat Ronim” settlement outpost extended from “Bracha” settlement in the northern side of Burin village, south of Nablus, moved into the northern outskirts of the abovementioned village. A number of civilians gathered and threw stones at the settlers to keep them away from the village. The Israeli forces immediately fired tear gas canisters to disperse them. Meanwhile, a settler opened fire from his gun, causing wounds to Obadah Rashed al-Najar (17) with a superficial wounds. Obadah was taken to Rafidiya Hospital in Nablus to receive medical treatment. At approximately 16:00 on Saturday, 13 April 2019, a group of Israeli settlers under from “Yitzhar” settlement established in the east northern side of ‘Orif village, south of Nablus, moved into the eastern outskirts of the village. They smashed the glass of 2 cars. In one of cars, which belongs to Loai Mazen Hafeth Shehadah, the glass was fully smashed and the structure damaged. In the second car, which belongs to Ziyad Abdul ‘Aziz Shehadah, the glass and the front lights of the care were smashed. It should be noted that the 2 cars were parked in front of Ziyad’s house as his family was getting into the car when the settlers attacked the neighborhood. At approximately 19:00 on the same day, Israeli settlers from the abovementioned settlement, escorted by a number of Israeli soldiers, moved into ‘Orif villages for the second time and stationed in the vicinity of the water tank that feeds the village in al-Safair area in the northern outskirts of the village. A number of them civilians gathered and threw stones at the Israeli settlers and soldiers. The soldiers fired live and rubber bullets, sound bombs and tear gas canisters at the protestors, who were hiding behind the water tank. As a result, Naji ‘Aref Naji Sabbah (17) was hit with a stone to the right shoulder, causing its fracture. He was taken to Rafidiya Hospital in Nablus to receive medical treatment. Moreover, many civilians suffered severe tear gas inhalation and received medical treatment on the spot. Just a few months into Morsi’s presidency, in August 2012, Israel had publicly accused Morsi of violating the peace treaty with Israel after Egypt responded to terrorist attacks in the Sinai by sending an increased number of troops. Morsi’s government accused Israel’s Mossad of having been behind the attacks in order to destabilize his government amid efforts to improve Egypt’s relations with Gaza. Hamas, which has governed the Gaza Strip since 2007, as well as Lebanon’s Hezbollah, also blamed Mossad for the attacks, a charge Israel denied. Events at the time support Eldad’s claim as, shortly after the coup, Israel quickly launched diplomatic missions in the U.S. and several European countries to push for support of Egypt’s new political reality and to prevent a diplomatic blockade on Cairo following the military coup. Many analysts have noted that under Al-Sisi, Egypt-Israel relations have grown to unprecedented levels through policies often driven by Al-Sisi himself. While Eldad cited concerns over a rupture of the Israel-Egypt peace agreement as having motivated Israel’s role in the 2013 coup, a more likely reason was related to Morsi’s relationship with Hamas and efforts to normalize relations with Gaza. Notably, after Al-Sisi came to power, the Rafah crossing between Gaza and Egypt and tunnels between Gaza and Egypt were abruptly closed. In addition, soon after the coup, “army-instigated anti-Palestinian propaganda” was “rampant” throughout Cairo and Palestinians that had flown into the Cairo airport were quickly deported back to the countries they had recently arrived from, according to The Guardian. In contrast, while Morsi did not end the blockade of Gaza — in force since 2007 — he had improved conditions for Palestinians living in the embattled enclave compared to those under his predecessor, Hosni Mubarak. Though Eldad’s recent statements make the connection between Morsi’s relationship with Hamas and Israeli involvement in the 2013 coup more clear, it had long been suspected. An Egyptian army general told BBC soon after the coup that Morsi’s alleged “collaboration” and good relations with Hamas were a driving factor behind the coup. In a telling incident, Morsi was later charged with terrorism for allegedly conspiring with Hamas, Hezbollah, and elements of the Iranian military to “destabilize” Egypt. Morsi has been imprisoned for years, many of them spent in solitary confinement, and a U.K. panel of legal experts asserted last year that harsh prison conditions will likely lead to his “premature death.” Prior to being charged for “collaborating” with Hamas, Morsi had publicly praised Palestinian “resistance” in Gaza. Another likely factor for Israel’s decision to place Al-Sisi in power was Morsi’s efforts to normalize relations with Iran. The accusations against Morsi regarding alleged collaboration with Hezbollah and Iran, both adversaries of Israel, seemed unusual to some, given that Morsi had, during his time in office and during the alleged “conspiracy,” cut ties with Syrian President Bashar al-Assad and supported Assad’s overthrow by opposition forces. Hezbollah and Iran, in contrast, supported Assad and fought alongside the Syrian Army. Notably, Israel served as one of the “masterminds” behind the Syrian conflict, which Morsi supported. Hamas, like Morsi’s government, had also backed efforts to oust Assad at the time, albeit less publicly. Notably, Al-Sisi’s government, widely considered a military dictatorship despite a pale sheen of democracy, has forged increasingly close ties with Israel ever since he came to power in the 2013 coup. This is unsurprising given Eldad’s recent claim that Israel had orchestrated the coup in order to put Al-Sisi in power. During his time in control of the country, Israel and Egypt began “secretly” coordinating military actions in Egypt, a covert alliance that Al-Sisi had denied until this January, when he admitted far-reaching coordination between the IDF and the Egyptian military. Al-Sisi’s efforts to bring Egypt closer to Israel lack popular support, as most trade unions and political parties oppose normalizing relations with Israel. However, Al-Sisi — known for his brutal repression of protests, journalism and any form of dissent — has continued to push forward in his efforts to forge closer ties with Israel, in apparent service to the country largely responsible for his rise to power.